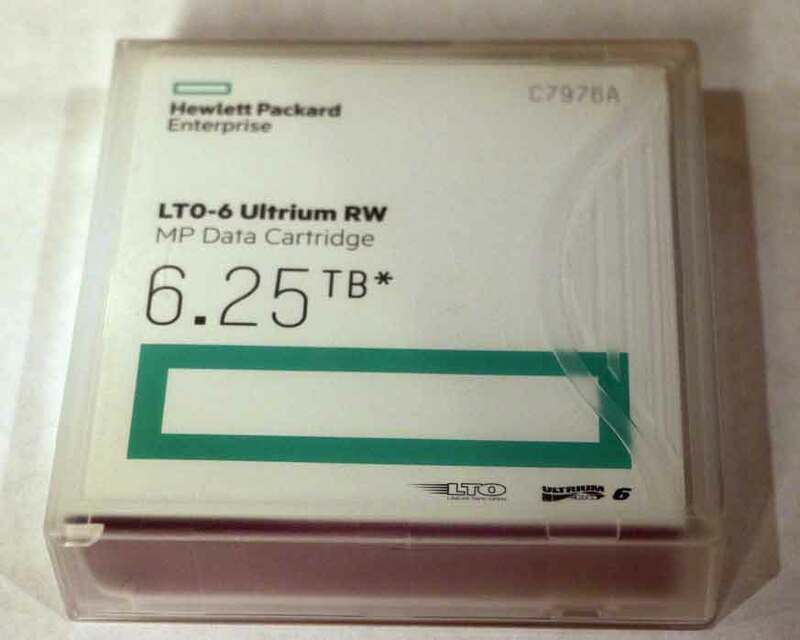 LTO stands for Linear Tape Open, and was initially developed nearly twenty years ago. It records any digital files onto half inch magnetic tapes, stored in square single reel cartridges. The capacity started at 100GB, and has increased by a factor of two nearly every generation, with the most recent LTO-8 cartridges storing 12TB of uncompressed data. 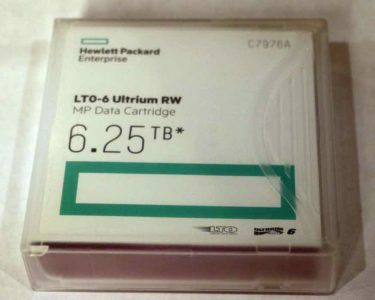 The LTO Consortium is made up of HPE, IBM, and Quantum, although there are other companies that manufacture drives and tape cartridges. While initially targeting server markets, with the introduction of “tapeless workflows” in the media and entertainment industry, there became a need for long term media storage. Since the first P2 cards and SxS sticks were too expensive for single write operations, they were designed to be reused repeatedly, once their contents had been offloaded to hard drives. But hard drives are not ideal for long term data storage, and insurance and bonding companies wanted their clients to have alternate data archiving solutions. So by the time the Red One and Canon 5D were flooding post facilities with CF cards, LTO had become the default archive solution for most high budget productions. But this approach was not without limitations and pitfalls. The LTO archiving solutions being marketed at the time were designed around the Linux based TAR system of storing files, while most media work is done on Windows and OSX. Various approaches were taken by different storage vendors, to provide LTO capabilities to M&E customers, some as network appliances running Linux under the hood, while other wrote drivers and software to access the TAR media from OSX, or in one case, Windows. And then there was the issue that TAR isn’t a self-describing file system, so you needed a separate application to keep track of what was on each tape in your library. All of these aspects cost lots of money, so the initial investment was steep, even though the margin cost of tape cartridges was the cheapest way to store data per GB. Linear Tape File System or LTFS was first introduced with LTO-5, and was intended to make LTO tapes easier to use and interchange between systems. A separate partition on the tape stores the index of data in XML, and other associated metadata. It was intended to be platform independent, although it took a while for reliable drivers and software to be developed for use in Windows and OSX. 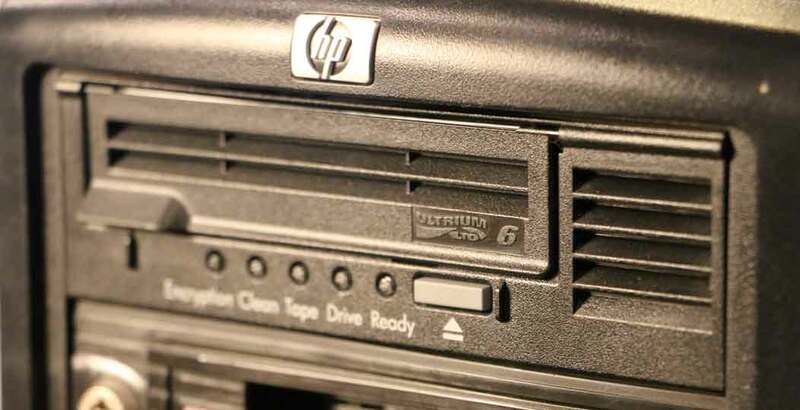 At this point, LTFS formatted tapes in LTO tape drives operate very similarly to old 3.5″ floppy drives. You insert a cartridge, it takes a minute and makes some funny noises, and then asks you to format a new tape, or displays the current contents of the tape as a new drive letter. If you drag files into that drive, it will start copying the data to the tape, and you can hear it grinding away. The biggest difference is when you hit eject, it will take the computer a minute or two to rewind the tape, write the updated index to the first partition, and then eject the cartridge for you. Otherwise it is a seamless drag and drop, just like any other removable data storage device. This means that all you need in order to utilize LTO in your media workflow, for archive or data transfer, is an LTO drive. I bought one last year on Amazon for $1600, considering that a bit of a risk, since I didn’t know if I was going to be able to get it to work for me, on my Windows 7 desktop. As far as I know, all tape drives are SAS devices, although you can buy ones that have adapted the SAS interface to Thunderbolt or Fibre Channel. Most professional workstations have integrated SAS controllers, so internal LTO drives fit into a 5.25″ bay and can just connect to those, or any SAS card. External LTO drives usually use Small Form Factor cables (SFF-8088) to connect to the host device. Internal SAS ports can be easily adapted to SFF-8088 ports, or a dedicated eSAS PCIe card can be installed in the system. How much data do they hold? This depends on the generation, and the compression options. The higher capacity advertised on any LTO product assumes a significant level of data compression, which may be achievable with uncompressed media files. (DPX, TIFF, ARRI, etc.) The lower value advertised is the uncompressed data capacity, which is the more accurate estimate of how much data it will store. This level of compression is achieved using two different approaches, eliminating redundant data segments and eliminating the space between files. LTO was originally designed for backing up lots of tiny files on data servers, like credit card transactions or text data, and those compression approaches don’t always apply well to large continuous blocks of unique data found in encoded video. Using data compression on media files which are already stored in a compressed codec doesn’t save much space. (There is little redundancy in the data, and few gaps between individual files.) 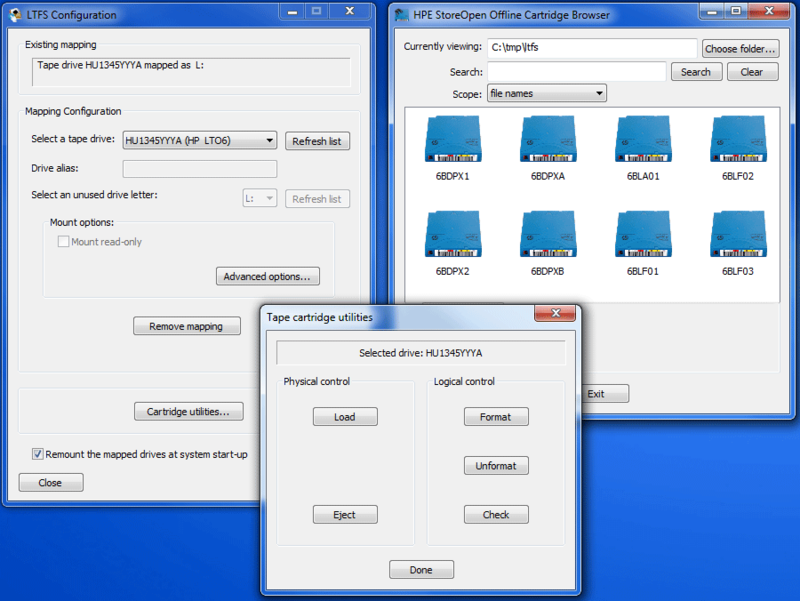 Uncompressed frame sequences on the other hand can definitely benefit from LTO’s hardware data compression. Regardless of compression, I wouldn’t count on using the full capacity of each cartridge. Due to the way the drives are formatted, and the way storage vendors measure data, I have only been able to copy 2.2TB of data from Windows onto my 2.5TB LTO-6 Cartridges. So keep that in mind when estimating real world capacity, like with any other data storage medium. So which generation of LTO is the best option? That depends on how much data you are trying to store. Since most media files that need to be archived these days are compressed, either as camera source footage or final deliverables, I will be calculating based on the uncompressed capacities. VFX houses utilizing DPX frames, or vendors using DCDMs might benefit from calculating based on the compressed capacities. Prices are always changing, especially for the drives, but these are the numbers as of summer 2018. On the lowest end, we have LTO-5 drives available online for $600-800, which will probably store 1-1.2TB of data on a $15 tape. So if you have less than 10TB of data to backup at a time, that might be a cost effective option. Any version lower than LTO-5 doesn’t support the partitioning required for LTFS, and is too small to be useful in modern workflows anyway. I spent $1600 on an LTO-6 drive last year, and while that price is still about the same, LTO-7 and LTO-8 drives have come down in cost since then. My LTO-6 drive stores about 2.2TB of data per $23 tape. That allowed me to backup 40TB of Red footage onto 20 tapes in 90 hours, or an entire week. Now I am looking at using the same drive to ingest 250TB off footage from a production in China, which will take well over a month, so LTO-6 is not the right solution for that project. But the finished deliverables will probably be a similar 10TB set of DPX and TIFF files, so LTO-6 will still be relevant for that application. I see prices as low as $2200 for LTO-7 drives, so they aren’t much more expensive than LTO-6 drives at this point, but the 6TB tapes are. LTO-7 switched to a different tape material, which increased the price of the media. At $63 they are just over $10/TB, but that is higher than the two previous generations. LTO-8 drives are available for as low as $2600, and store up to 12TB on a single $160 tape. LTO-8 drives can also write up to 9TB onto an properly formatted LTO-7 tape, in a system called “LTO-7 Type M” This is probably the cheapest cost per TB approach at the moment, since 9TB on a $63 tape is $7/TB. One other consideration is backwards compatibility. What will it take to read your tapes back in the future? 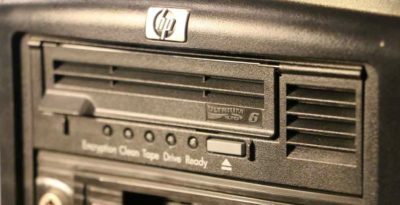 The standard for LTO has been that drives can write the previous generation tapes, and read tapes from two generations back. So if you invested in an LTO-2 drive, and have tons of tapes, they will still work when you upgrade to an LTO-4 drive. And you can then copy them to newer cartridges with the same hardware at a 4:1 ratio since the capacity will have doubled twice. The designers probably figured that after two generations (about 5 years) most data will have been restored at some point, or be irrelevant. (The difference between backups and archives.) If you need your media archived longer than that, it would probably be wise to transfer it to fresh media of a newer generation, to ensure it is readable in the future. The other issue is transfer, if you are using LTO cartridges to move data from one place to another. You must use the same generation of tape, and be within one generation to go both ways. If I want to send data to someone who has an LTO-5 drive, I have to use an LTO-5 tape, but I can copy the data to the tape with my LTO-6 drive. (And be subject to the LTO-5 capacity and performance limits.) If they then sent that LTO-5 tape to someone with an LTO-7 drive, they would be able to read the data, but wouldn’t be able to write to the tape. The only exception to this is that the LTO-8 drives won’t read LTO-6 tapes. (Of course, because I have a bunch of LTO-6 tapes now, right?) So now for my next 250TB project, I have to chose between a new LTO-7 drive with backwards compatibility to my existing gear, or an LTO-8 drive that can fit 50% more data on a $63 cartridge, and use the more expensive 12TB ones as well. Owning both LTO-6 and LTO-8 drives would allow me to read or write to any LTFS cartridge (until LTO-9 is released), but the two drives couldn’t exchange tapes with each other. 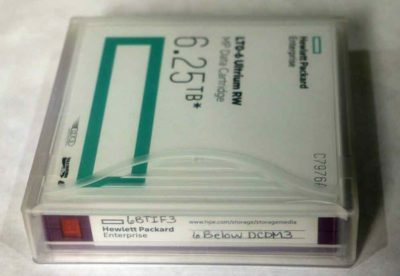 I have just been using HPE’s free StoreOpen Utility to operate my internal LTO drive, and track what files I copy to which tapes. There are obviously much more expensive LTO based products, both in hardware with robotic tape libraries, and in software with media and asset management programs, and automated file backup solutions. But I am just exploring the minimum investment that needs to be made to take advantage of the benefits of LTO tape, for manually archiving your media files and backing up your projects. The possibilities are endless, but the threshold to start utilizing LTO is much lower than it used to be, especially with the release of LTFS support.